If you live in the Tampa Bay area, and have never handled or fired a firearm before, but are interested in trying it, send me an email. We will sit down for about a half-hour of safety and function training, then head to the range for some real shooting experience. If you really don't like guns, or you believe that guns are dangerous, then you are the person who I am making this offer to. All I am seeking is the slightest hint of curiosity. I also welcome journalists and politicians who wish to improve their knowledge on this very serious topic. I feel that one of the most important barriers people face when it comes to political firearms issues is their irrational fear of the unknown. After learning the basics, you will quickly realize that guns are simply tools, and they are as safe as their operator. 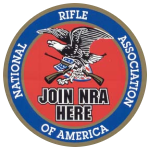 One trip to the gun range will not turn you into an NRA member, but I promise by the time you are done, you will no longer fear guns. Succinctly, the offer is this: If you've never handled a firearm before, I'll teach you the basics, supply all the necessary safety equipment and pay for your range fee as well as a box of ammo. I also encourage other responsible, safe gun owners across the country to do the same thing. If you don't live in the Tampa Bay area (Tampa, Clearwater, St. Pete, etc. ), let me know where you live, and I will attempt to find somewhere that offers a similar free introduction to shooting in your area. There are a many qualified individuals across the country who will take you to the range for the first time. Here is a nation-wide list of shooting sports mentors, with a map. Small print: You must be at least 18 years old, unless accompanied by your consenting legal guardian, and not otherwise barred by state or federal law from purchasing or possessing a firearm.